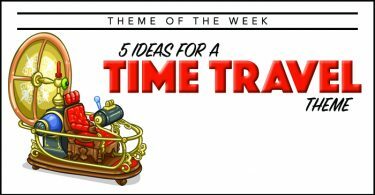 I have written three different lists of themes to be used for themes weeks. Those themes are meant to encompass all of camp, from crafts to special events, games to meals. THIS list, however, is meant to give you ideas for theme days. Many theme Days are easy to run because often they are no more than suggestions on what to wear that day. Wacky Hat Wednesday would be an example. 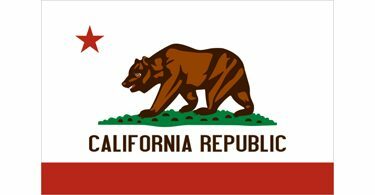 It doesn’t involve activities, crafts, meals or events. Sure you could have a crazy hat runway show and a “Who Can Fill the Crazy Hat with Ping Pong Balls First” competition, but that’s overkill for this particular type of theme. 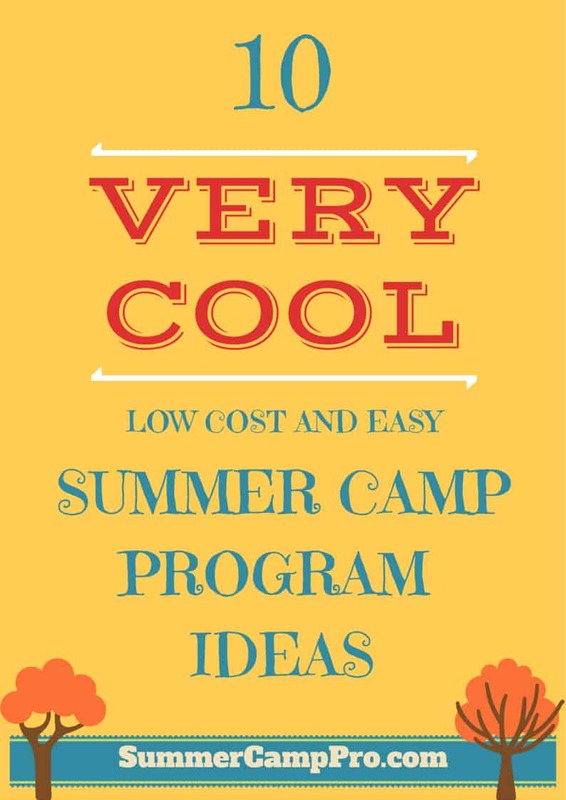 These fun fashion type of themes are simple add-ons to your regular camp program. Some themes are not about the costuming, they are about the activities. Top Shot Tuesday is a good example of this. Activities for this theme day revolve around target skills (archery, bb guns, rock throwing, etc.). I suppose you could dress up as an Olympic athlete or a hunter, but that’s not the focus of these types of theme days. There there are the themes that encompass both fashion and activities. On Fiesta Friday you can wear a serape and sombrero, bust open piñatas, make maracas for a craft, eat Mexican food for lunch and play some mariachi music. You can do as little or as much as you want with a theme like this. Personally, I’m just here for siesta. 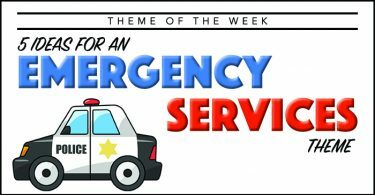 If you go with on of these “big” combination themes, make sure you only do one each week. Why? Because it can become overwhelming really quick if you decide to do these types of theme more frequently. On the other hand, if you want to plan a theme day every day, keep your sanity intact and go with the easy fashion theme days like Mustache Monday and Tie Dye Tuesday. 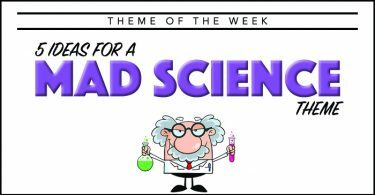 This list includes easy themes and some “bigger” themes. 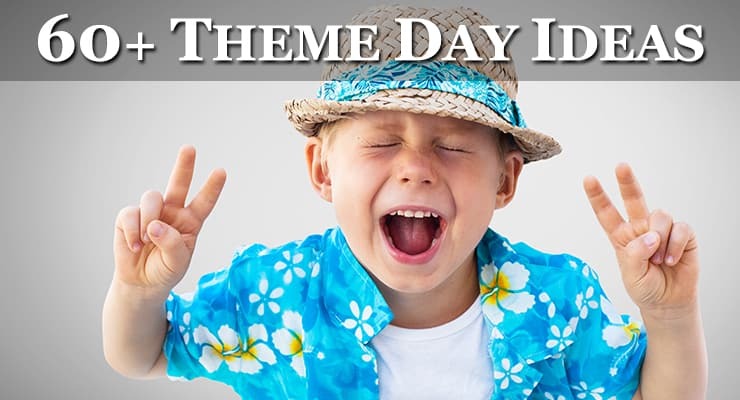 Some themes focus on what to wear, while other themes focus on the activities for the day. It’s all about alliterations in this list. 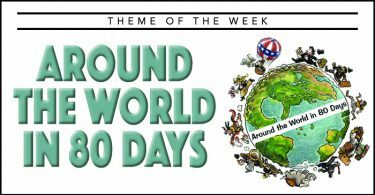 Each day has multiple theme suggestions (Thursday was a bit of a challenge). For theme days that I really like that wouldn’t fit in the alliteration list, I added a separate “Bonus” list afterwards. Top Shot Tuesday – archery, bb guns, slingshots, paper airplanes into waste baskets, basketball shooting, etc. Fear Factor Friday – who’s up for trying some crazy food? I would add twin Tuesday. Excellent list! I never responded to your round table, but glad you were able to share this! Thanks, Joanne…and you should participate in the round tables. There are always great ideas that come out of those.